First of all, happy New Year and welcome to 2018. The short term loan and payday loan industry has undergone some serious changes in 2017. With the introduction of a number of firms offering to get refunds for payday loans, lenders are changing policies. Debt Camel in particular has made massive strides in enabling customers to challenge the charges they’ve paid in the past. Payday lending always was and still remains a big business. It’s estimated that there were up to 1 million payday loan customers last year. The FCA estimates that of 760,000 customer, the average cost of borrowing has fallen from £100 to below £60. The demand in the market has only grown since the regulation change. However, some lenders did quit the market before the changes took place. These include Minicredit, which ceased its lending on 10 December. Lenders who run stores and doorstep agents have found it particularly difficult to still make money. While it can be difficult to have sympathy for the older lenders, without lenders of payday loans in 2018, many customers will have nowhere to turn in a financial emergency. What we don’t want to see is customers being forced to return to doorstep lenders and even loan sharks. Let’s hope the next year will be a positive one for lending. With that going on, we’re trying to predict what might happen to Payday Loans in 2018. More thorough credit checks – no more lenders offering loans without a credit check! The main way lenders determine affordability is by obtaining a copy of your credit score. There are three main providers of scores in the UK, Equifax, Experian and Call Credit. All three provide similar information and you’ll find all lenders use one or more. In the past, lenders may have only checked your details were valid, however, there is much more information on a credit report. This covers everything from your past and present loans and credit to which payments, if any, you have missed recently. This allows the lender to establish two things, can you manage to make the payment and have you struggled in the past? In particular, it’s important for a lender to understand if you are on top of all of your repayments or beginning to get behind. If you think your credit score might be terrible, it’s not the end of the world. People with Bad Credit are the main recipient of short term loans so lenders know things might not be perfect. What they are looking for is the ability and willingness to repay the loan, not the perfect credit score! We think the result of the tighter checks will be smaller loans for everyone. If it’s important to prove affordability, lenders would be irresponsible to lend too much. Payday loans in particular will need to be small to be affordable for most people. With more checks on how many loans a customer has already, it may not be possible in future to pay a large bill using a payday loan. The range of values for a payday loan are normally between £50 and £300. This is about the limit of affordability for most people but some lenders might lend more. We think those large payday loans will decrease rapidly this year. So what will happen to payday loans in 2018? They’ll shrink and most people will be encouraged to use an instalment loan or short term loan. Short term loans offer the same or larger amounts but over a longer period. Loan terms are normally 2-12 months making payments much smaller and more manageable. Our analysis of applications suggests there are some common amounts customers need. £300 short term loans, £750 payday loans and £1000 short term loans are by far the most popular options we see. These amounts are likely to be difficult to borrow this year. Payday loans in 2018 will almost certainly be capped at £300 with instalment loans being required for larger amounts. With amounts going down, the only way to borrow more will be to borrow for longer. While that’s not the death of the Payday Loan, more customers will actually end up with a short term loan. They are effectively the same but over a longer period. They normally have lower charges but the same interest rate. Monthly repayments are smaller and therefore more affordable but you will pay more in the long run. The main consideration when borrowing the same amount over a longer period is that you will pay more interest. For some this will be a deal-breaker but it might be the only way to secure the amount you need. If you can’t borrow from your bank or building society, maybe a short term loan is better. Because the lenders can’t charge more than twice what you borrow, any loan over 5 months in duration will charge the same interest. A £100 loan over 6 months will have the same total repayable as the same amount over 12 months. That’s half the payment for you and the same amount borrowed! With cuts to profits and customers claiming money back, some lenders will leave the market. That means less choice for customers and many seeking alternatives to payday loans. We really hope this doesn’t mean many resort to unscrupulous doorstep lenders or even loan sharks. We’ll do our best to keep finding loans for bad credit but the choices might shrink. Who has already left the payday loan market? It’s difficult to say but we know paydayuk have shut their website down and are no longer accepting new applications online. Their owner, Dollar Financial Corporation Global are looking to exit a number of UK brands due to difficulties in the US and UK. The best known name owned by Dollar are The Money Shop who have also stopped selling loans online. Their website also has a notice stating no online sales and more lenders are rumoured to follow. We think the older companies that started offline and moved online might not be able to cope with the new caps on charges. Our last prediction is that the FCA will start to tackle credit cards. Credit cards and the lesser known line of credit can be much harder to pay off. There are calls for the FCA to impose a cap on these types of debt. That would prevent customers getting deeper and deeper into debt. It might include controls like never pay more than double the amount you borrowed. No automatic credit increases without asking. Affordability checks before increasing credit limits and so on. The big problem with a line of credit or credit card style credit facility is that there is no cap on overall interest and charges. Combined with the very low minimum payments, it’s really easy for customers to stay maxed and paying full interest every month. A £100 balance at 49% APR paid off at a minimum of 5% a month will see you pay the lender nearly £60 over the year and still owe £90 plus!. It’s likely some sort of cap will be imposed on the credit card lenders to cap total cost to double but it’s tricky to implement. The traditional credit card lenders have turned their back on customers with bad credit. With claims companies trying to prove that lenders sold irresponsibly, the traditional banks and building societies are playing it safe. When their customer base shrinks and their risk appetite grows, maybe the lenders will return to customers with a lower credit score. 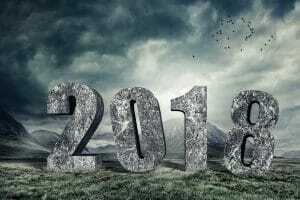 What is going to happen to payday loans in 2018? We think you’ll see smaller amount, longer durations and fewer lenders. Expect to supply more information to prove you can afford it as well. But some lenders are still here and Loanpig is one of them. We’re doing more than ever to make sure we provide the right loans to the right people when they need it. We think payday loans in 2018 will settle down throughout the year. As always, LoanPig is in the best position to find you a loan as we are a direct lender and a broker. Payday loans are a type of short-term loan originally created to tide people over until payday. Banks aren’t really set up for lending small amounts for short periods of time. Before Payday Loan companies existed, many people borrowed from doorstep lenders or used Pawn Shops. In the same was as with short-term loans, payday loans let you borrow small amounts for short periods. The reason payday loans use the term payday is because they allow you to repay next time you get paid. In reality you can often pay back the loan as soon as you have the money. This is why the interest rate is much higher than a normal loan. The company lending the money has very little time to cover their costs so has to charge more per day. On your next payday, the money is taken directly from your bank account. You repay the loan in full and with interest on your payday. Payday or Short Term Loan? More common these days are Short Term Loans. Short Term Loans are generally repaid over 2-6 months although some lenders allow longer durations like 18 months. You repay in instalments either on a set day of the month or on your payday. As it’s spread out, you pay less each month but you will pay more interest in the long term. Often the extra interest is worth it as the repayment amount is much more manageable. Payday loans and short term loans have a lot in common. They are generally for small amounts, between £50 and £1500 and over short durations. Up to 1 month for a payday loan and between 2-12 months for a Short Term Loan. Interest rates are almost always higher than a longer loan as the lender has less time to cover their costs. A payday loan is an expensive way to borrow large amounts and could make your situation worse if you can’t afford to pay it back on time. You need to think carefully before choosing one. What are the costs of a payday loan? Payday loan costs are capped by law under rules set by the Financial Conduct Authority (FCA). These rules mean there is a maximum daily interest set at 0.8% per day. This is 80p per £100 borrowed per day. Lenders are also restricted from charging more than double what you originally borrowed. If you borrowed £200, you can never be made to pay more than £400 back in total including all interest and fees. If you took out a loan of £100 for 14 days leading up to payday, you’d pay back £111.20 in total. If you don’t repay on time, the lender can charge you extra interest and a fee of up to £15. That total you owe can never go over £200 though. What if I can’t pay back my payday loan? There are a number of options for repaying your payday loan. You definitely need to get in touch with your lender. Sometimes if you get in touch and agree how you are going to repay, they’ll freeze the fees and/or the interest. They might offer you what is called a rollover, deferral or extension. These are all the same thing, the lender will give you longer to pay but continue charging you interest and possibly a fee. Be careful agreeing to one as you could easily end up owing much more. This article is the author’s opinion and should not be treated as financial advice. All information in this article is for entertainment purposes only.